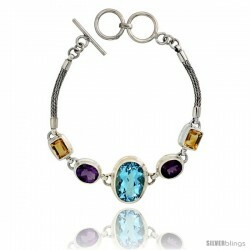 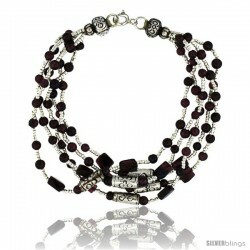 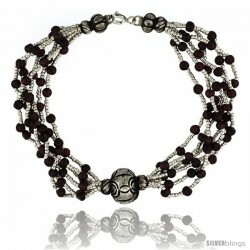 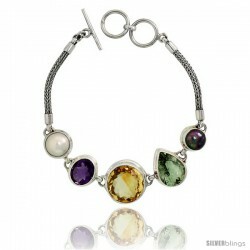 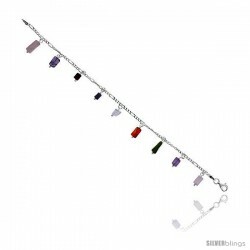 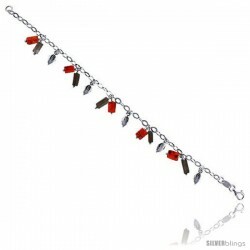 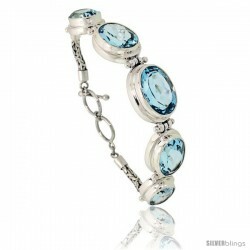 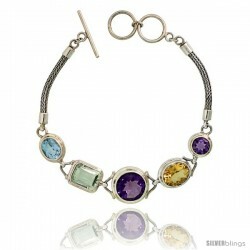 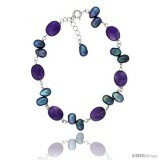 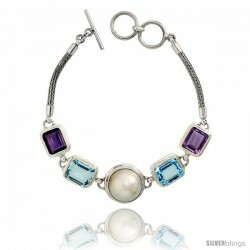 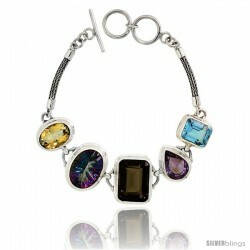 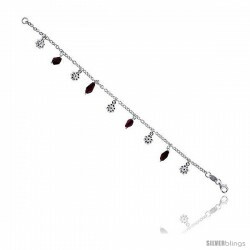 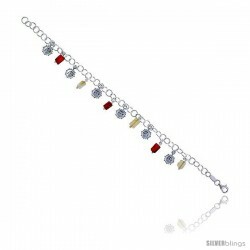 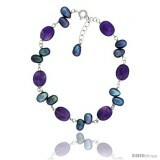 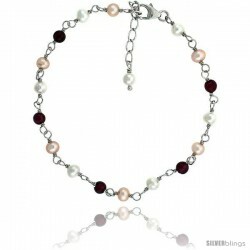 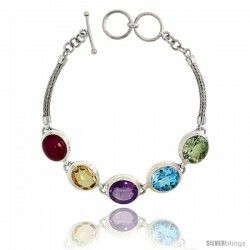 This elegant Color Gemstone Bracelet made from Color Gemstone has an elegant look. 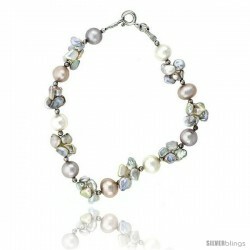 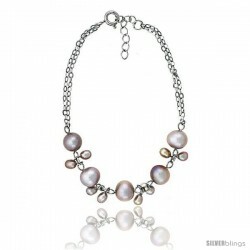 Dollar for Dollar These 3rd Generation of Chinese Freshwater Cultured Pearls are Higher in Quality By Far, than the ones coming from Japan or anywhere else. 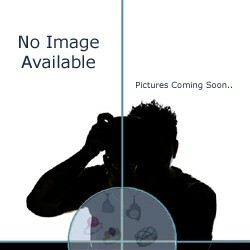 There are 13 X 8.5 mm Black Pearls and 8 x 10 mm Amethyst, Going All The Way Round, Wire Wrapped w/ Rhodium Sterling Silver. 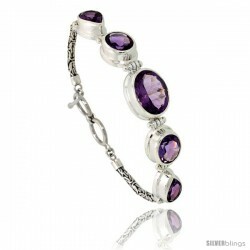 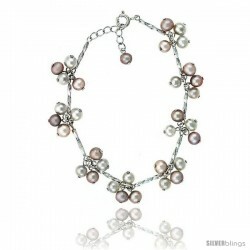 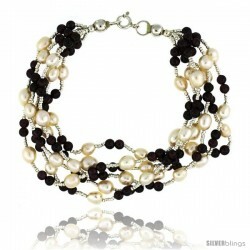 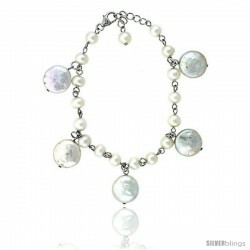 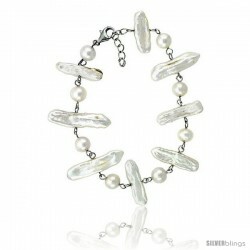 The low price of this bracelet might be misleading but this is a gorgeous bracelet. 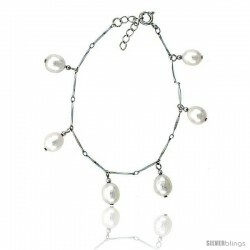 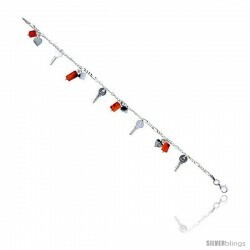 For matching Necklace Please Look-Up Part Number SB-PLN123, and Matching Earring PLE123.